Haase carved a good drop shot, found himself over-running Zverev’s reply, and improvised a perfectly weighted tweener lob, some rare and potent dark magic. Zverev replied with a nifty tweener of his own, but it didn’t clear the net. The second-seeded Zverev still came out ahead, 6-4, 7-5, avenging a bad loss to Haase in Cincinnati earlier this year. 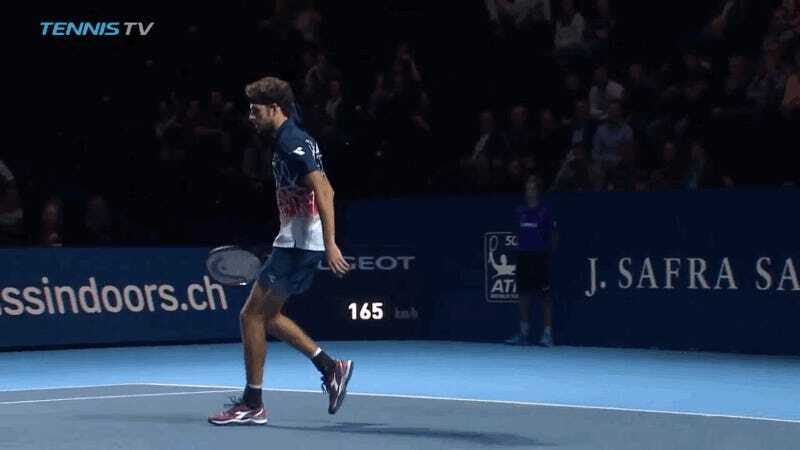 He lost the tweener battle, but won the war.